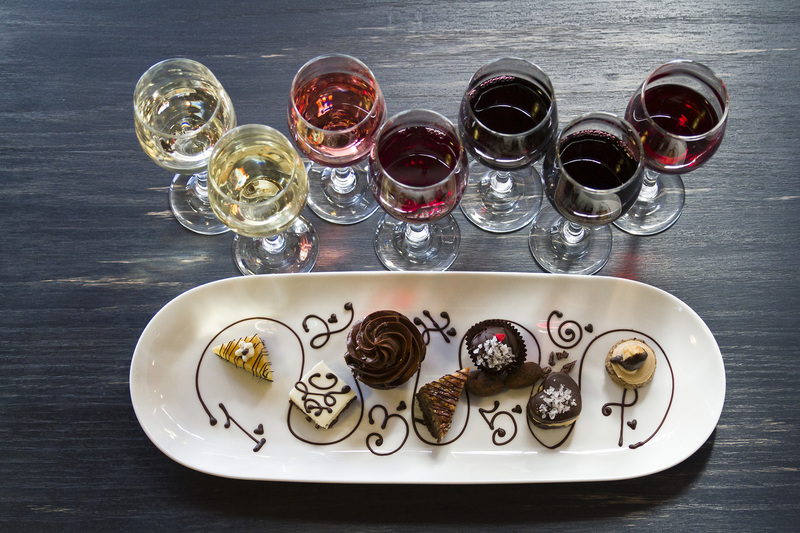 Wine and Chocolate Pairing - Is it Possible? There’s no question about it: life can be difficult at times. There sometimes seem to be so many small and annoying problems, so many little irritations, that the days can seem to drag on and leave you aching for the weekends. Whether this is caused by long working hours, bad traffic, duty visits to well-meaning relatives, the list goes on for a long time. Thank goodness, then, for chocolate and wine. These two products feel as though they were invented for alleviating troubles, providing us with stolen moments of heaven, and giving us an opportunity to lie back and pamper ourselves, even just for a few minutes at the end of a bad day. We definitely owe the natives of Latin America an enormous debt for their ingenuity in the use of the cacao bean, and those explorers who brought it back across the ocean to the western world so long ago. 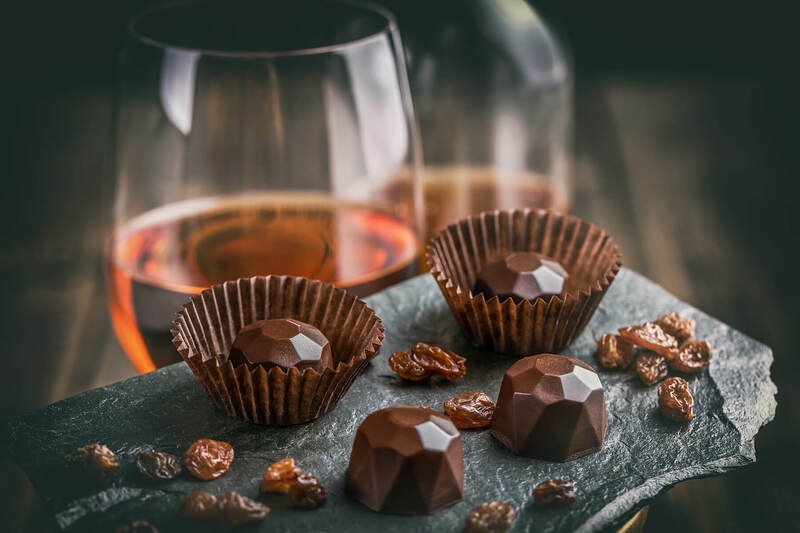 Chocolate and wine are two of those universally adored products - there is a type of wine and a type of chocolate to suit every taste and character. Indeed, we even reserve a special type of suspicion for those people who claim to dislike either product - could it really be true, we ask ourselves. Or have these poor souls simply not yet discovered the right chocolate or wine for them? The link between chocolate and wine, however, goes much further than simply claiming that they’re both absolutely delicious and vital for getting through the day. Their history is deeply entwined - both wine and chocolate became formalised and recognisable as the elixirs of delight we know them to be around the same time; during the colonial years of the late 18th century. Britain, France and Spain were ruling the waves, and vines were being planted across the New World while the raw ingredients for making chocolate were being shipped back to Europe. On top of this, the production techniques used in both winemaking and chocolatiering have some interesting parallels, too. Both products are fermented forms of fruit, just as both utilise exactly the same type of yeast. Chocolate and wine are both carriers of hidden depths and mysteries - expert wine and chocolate tastes send themselves into giddy, sensory rhapsodies, capturing on their palates those secret aromas and complex flavours which reveal a sense of time and place in their production. Both express the idea of terroir, both have stark regional differences. Wine and chocolate are, it seems, far more similar than they may at first appear. If you were to ask any oenophile what tops the lists of their ultimate indulgences, it’s likely that some combination of chocolate and wine will feature pretty highly. Like with any food and wine pairing, matching chocolate with wine does require some skill, knowledge and experimentation. However, as with most pairings, it is based on common sense and on some basic principles of allowing each component of the pair to work in harmony with the other. Chocolate and wine do share quite a few flavours between them, and the presence of tannins in both products means that texturally they have a lot in common, too. This can result in some really gorgeous pairings, but there is also some real danger of causing a nasty clash as both chocolate and wine use up the same ‘palate space’ in the mouth as each other. This can lead to both the wine and the chocolate coating the same part of the mouth, and leading to an unpleasant tasting experience. It would be understandable to imagine that you can only pair dessert and sweet wines with chocolate, as generally, we don’t pair many sweet foods with savoury wines, and vice versa. 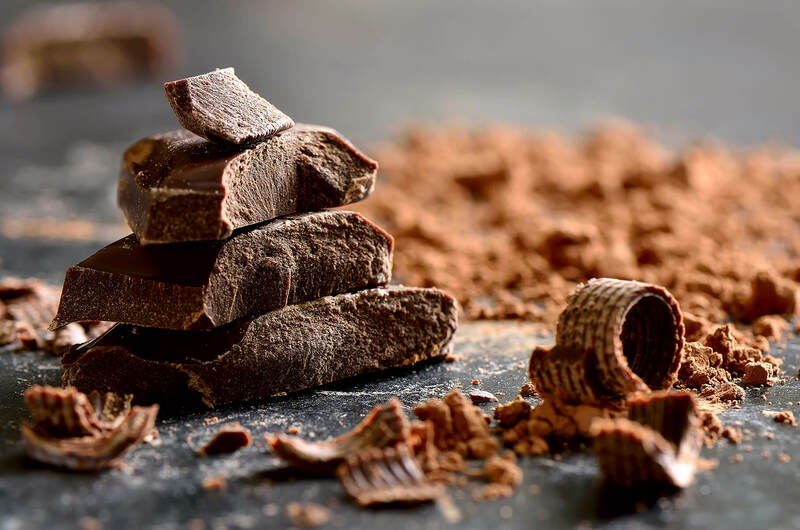 While there are some delightful matches of sweet wine and chocolate out there to discover, this is an approach which is all too simple, and fails to take into account the undeniable fact that most fine chocolate isn’t all that sweet. Deep, complex dry wine paired with bitter chocolate is something you won’t be forgetting in a hurry, so keep an open mind and think carefully about the dominant flavours you’re bringing together. Here are some extra bits of advice which may help you on your own path to some decadent treats and heavenly pairings! There are many out there who would argue that white chocolate isn’t really chocolate at all, due to the fact that it only contains cocoa fat, and no actually cocoa (the brown stuff that colours other types of chocolate). While this is true, it’s a bit of a technicality which is best left to the pedants. White chocolate is a guilty pleasure - unashamedly sweet, silky and soft, it brings a childlike smile to even the most hardened of cynics. 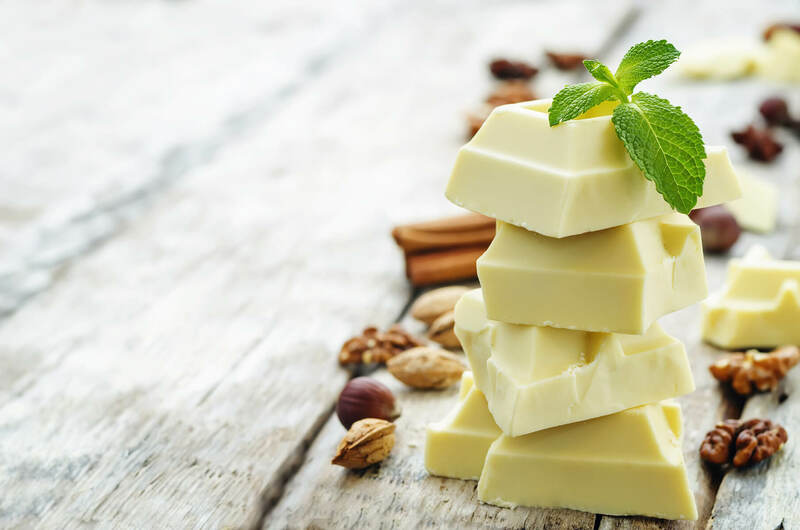 OK, before you all start commenting, we know that white chocolate isn’t ‘real chocolate’ at all, due to the fact that it doesn’t contain actual cocoa, only cocoa fat. While this is undeniably true, we can leave the technicalities to the pedants out there, and focus on the positives of white chocolate. Because after all, this stuff is the ultimate guilty pleasure; it’s unashamedly sweet, all soft and silky textures, and even though I know I’m not really supposed to like it, it still brings a childish smile to my face whenever I get to sneak a block of it into my mouth. White chocolate doesn’t really contain any bitter notes at all, and it usually likes spice, too. As such it’s one of the only types of chocolate which really pairs well with sweet wines and dessert wines. As regular readers of these blogs will know, I’m a big fan of the botrytised (noble rot) wines made traditionally in Sauternes and Hungary - these are the wines made from grapes which are allowed to wither and rot on the vine - and I can’t think of a better pairing for white chocolate. The rich, dark honey flavours of these dessert wines, along with their notes of dried apricot and roasted nuts, bring something really fascinating to the mix. If you fancy something different, a good vintage ruby Port wine will bring out some great blueberry and redcurrant flavours to your white chocolate - delicious! Milk chocolate is the most popular style of chocolate in the world, by quite a considerable margin. It is celebrated and adored for its sweetness, its smoothness, and its wonderful versatility. Milk chocolate is highly regional - every country has their own interpretation of a milk chocolate bar, and tasting chocolate from other countries can be quite challenging, as we are so familiar with our own local styles. Ask any British person what they think of American chocolate, and they’ll be quick to tell you that it’s among the most disgusting substances known to man. If you want to make the most of your wine and milk chocolate combinations, then stick with chocolate truffles instead of block chocolate. The truffle contains a filling of ganache - 50% chocolate, 50% cream, which brings a fattiness to the pairing which carries itself considerably better on the palate when enjoyed with a glass of wine. For me, milk chocolate pairs best with fortified wines - a good Sherry with a milk chocolate truffle is a real treat. Spanish dessert wines seem to work well generally, actually, as one of the best discoveries I made was pairing milk chocolate with a glass of Montilla Moriles (a dessert wine from the Spanish city of Cordoba), which burst with sweet spiciness and soft fruits. Another great match for milk chocolate would be an Australian Moscato - think the lush, heady, candyfloss flavours of Innocent Bystander Moscato - as it brings a bit of strawberry and cream into the mix, bringing back sweet childhood memories. If your milk chocolate is coming in the form of a cake or gateau, then you can be bolder still: try a rich chocolate cake with a glass of good Shiraz. Trust me, it works! Dark chocolate is where it’s at. It’s the connoisseur’s choice, the bittersweet one, the chocolate for people who really, really like chocolate. According to the rules (and there are a lot of rules), chocolate can only be called ‘dark’ if it has more than 36% cocoa solids in the mix. However, there’s an increasing trend in chocolate to contain far higher percentages than this, and it isn’t uncommon to find dark chocolate with over 80% cocoa solids, which contain loads of deep, complex tannins and bitterness that aren’t for the faint-hearted. If your dark chocolate is of the medium variety, with 36-55% cocoa solids, I’d recommend pairing it with a fruity, medium bodied red. A Chilean Merlot seems to fit the bill for this, as do Chianti and Zinfandel wines, with their fruit-forward, juicy characters. For the deeper, darker end of the scale, you’ll need something more complex and powerful. If your chocolate contains 70-90% cocoa solids, and is the kind of mouth-puckering brittle, bitter chocolate I tend to reach for, you’ll need a wine which is going to bring out those rich, fascinating coffee and spice notes. A good Australian Cabernet, a classic Bordeaux wine, a Barolo or a sensual bottle of Malbec would be my top recommendations. These are some suggestions to get you started - but remember, there are thousands and thousands of potential combinations out there, and there’s no pairing method quite as effective as experimentation, trial and error. So, don’t be afraid: get out there and find your perfect match for yourself - you’re sure to uncover something wonderful! Now that you have learned a thing or two about pairing wine with its confectionery match, let's pin down 3 of the best wine types that would satisfy your palate. Go ahead and check out our wine palate quiz below!